Having spent much of the past few weeks out and about visiting schools and colleges to talk about gap years, I thought it would be a good idea to summarise the messages that I pass onto Lower Sixth / AS Level students. If you have just finished your first year of A-Levels and are looking forward to the long summer holidays, do give some serious consideration to your gap year plans, beat the crowds and book your gap year early. 1. Secure your place – quite a few of our gap year programmes fill up many months in advance. Our animal welfare projects over the summer months are particularly popular. If you are looking to travel in summer 2015, book up and secure your place this summer. 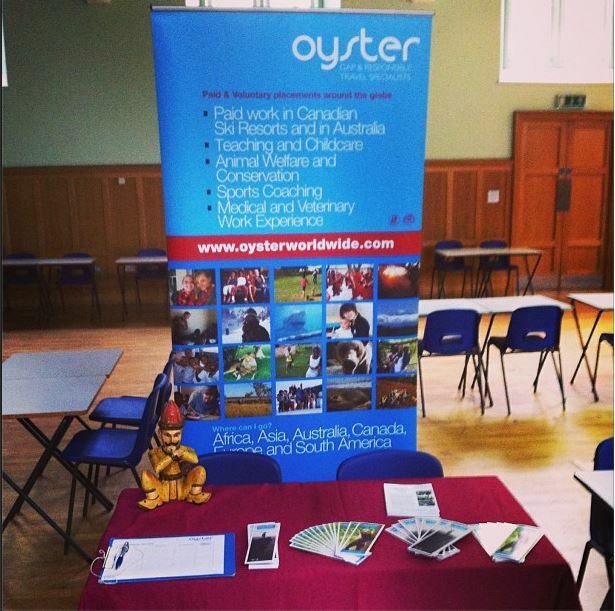 Have you spoken to us at a gap year fair? 2. Spread the cost – We don’t ask for full payment to be completed until 90 days before departure. To secure your place we ask for the first £180 to be paid a week after we have offered you a place. By applying this summer, you’ll have almost a year before you need to pay us anything else, meaning that you have plenty of time to earn and save money. Generally, people on our longer term projects (ski seasons or teaching for example) leave the UK between November and January which means you’ll have plenty of time to work full time in the UK after your exams finish next year until your departure date. 3. Secure any work permits you need – if you want to get paid work overseas on your gap year, you need to get yourself a work permit. For some countries, Canada in particular, the work permits tend to be released early in the departure year (January 2015). Whilst we cannot guarantee that you will get a work permit, by being signed up to one of our programmes in Canada, we can give you advice on how to complete the application and let you know about any key dates. The work permit you would need is the International Experience Canada (IEC) Working Holiday Program. We’ve noticed this year that many people finishing their A-Levels have left applying to Canada until after the work permits have all been issued. This has been a massive disappointment for people so please do take the advice and book early! 4. Have something to look forward to – The next 12 months of your education is probably going to be the toughest so far. Having some light at the end of a tunnel in the form of having your gap year already planned is a) a weight off your shoulders and b) something to look forward to when you are rushing to meet that essay deadline or in the final throws of cramming for the last exam! 5. Impress university admissions tutors when applying for deferred entry – when I speak to students I try to encourage them to apply for a deferred entry at university. It’s not simply enough to just tick the box for deferred entry and be done with it, you need to show the admissions tutors why you are deferring your entry. 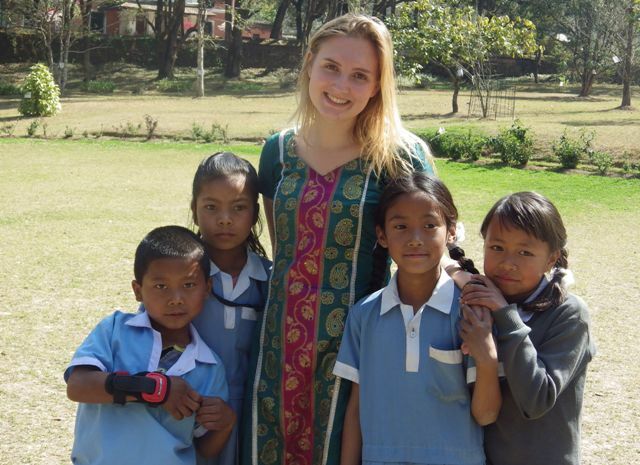 If you can show them that you have already booked your gap year to become a volunteer teacher, living with a family in Nepal for four months and trekking in the Himalayas, you are seriously going to impress them. They will see someone who is motivated, organised and will have had a worthwhile experience overseas – you should be an ideal candidate to have at their university! So what are you waiting for? Don’t delay! Use this summer to start researching your gap year, speak to the organisations, go through any selection procedure and then be able to focus on your A-Levels, safe in the knowledge that your gap year is ready and waiting for you at the end of it all. 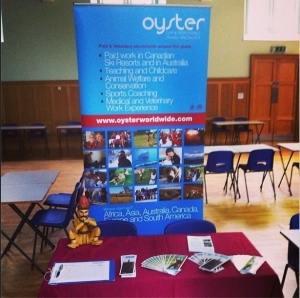 If you want any more information about Oyster’s projects or just want some general gap year advice, feel free to comment below, email ([email protected]) or call me on +44 (0) 1892 771972.